Through a unique combination of natural nutrients, this serum renews the cells and rejuvenates the skin, improves the complexion. Contains natural oils and extracts, and bOgata minerals: iron, phosphorus, iodine, potassium and sulfur. Stimulates cell renewal and smoothes wrinkles. Regular use gives the skin a youthful, freshness and healthy color. Method of use: before applying serum, a little massage the face, the eyes and the area around the eyelids. Then apply the serum, let it absorb. Apply a nourishing cream. Active ingredients: oil of musk, almond, sunflower seed, extracts of lettuce, the seeds of the quince, dandelion. Original name: Bio Dandelion serum, 35 ml Biotique. 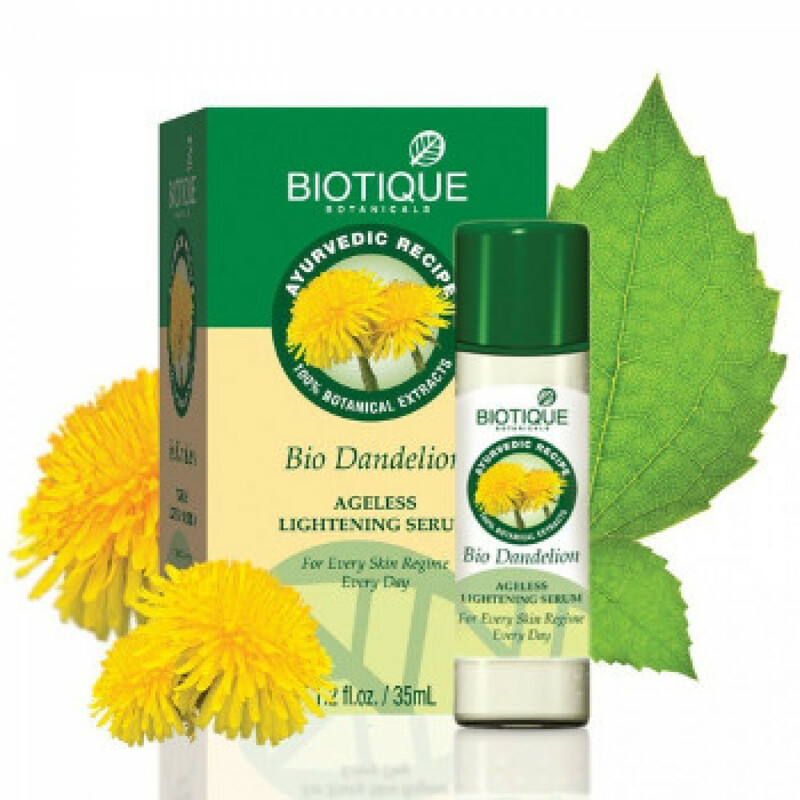 In our store You can buy authentic anti-aging Serum with dandelion 35 ml Biotic at the best price!